Whether you are obsessed with gaming or just seeking an escape from the monotony, you totally should check out Smaaash, a sports arena that is located in four major locations in Hyderabad. The bigger of the four, Smaaash in Inorbit Mall is a place where you can go for some fun-filled activities that include arcade games, cricket, and virtual reality too. The kid inside us is super enthu as this sports entertainment spot has games like Pacman, E-claw, King of Hammer Dx, Super Bike, and many more. We don’t believe anyone’s ever too old for arcade games! If you’d like to go for something that’s off-screen, you can also compete against your friends in a bowling contest (It’s our favourite thing to do), or play a game of cricket at their multiple lanes of cricket pitch where you get bowled by the likes of Malinga and Shane Warne (virtually, of course) and if virtual reality excites you just as much as it does us, you should also try the thrilling Walk The Plank which will put you 50 feet high and on a narrow plank! We’ve all wanted to be a part of virtual reality, haven’t we? 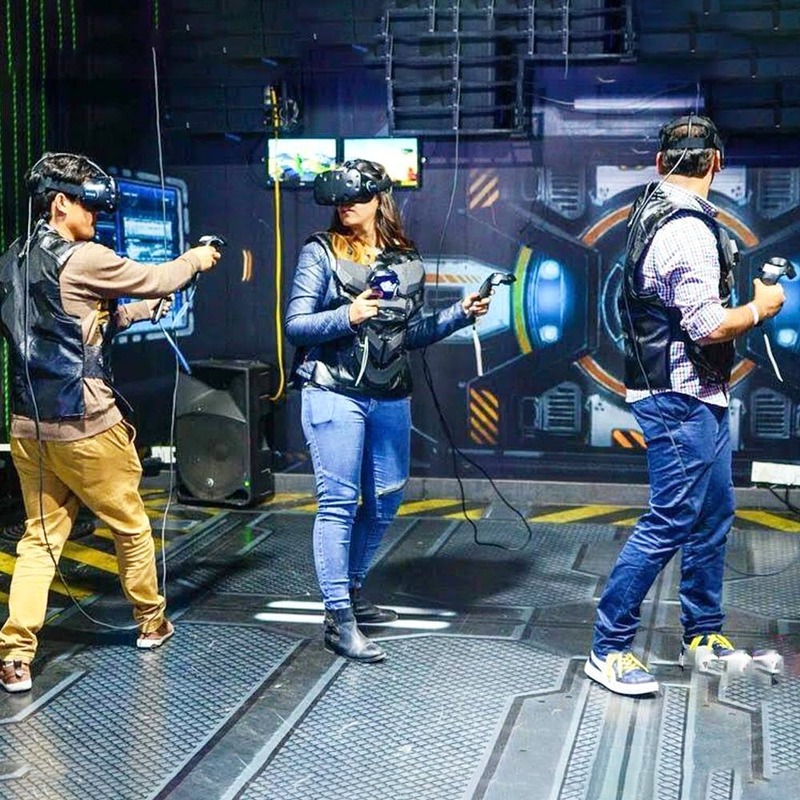 No better way to experience it than at the city’s only VR entertainment arena. We also hear that this outlet is getting its own laser tag section this month, wohoo! Plus, they have multi-cuisine food, drinks and great music playing, so be it a corporate event or just a casual hangout, you know you have the best of everything here. They have custom packages that fit both start-ups and corporates (15 – 350 people) and the fun environment makes this a fantastic team-building activity. You can also take your kiddies here as they will enjoy these activities, and organise small parties here too. All in all, it’s time to grab a pint and get gaming, folks! Plus, the nachos at the in-house restaurant are to die for.